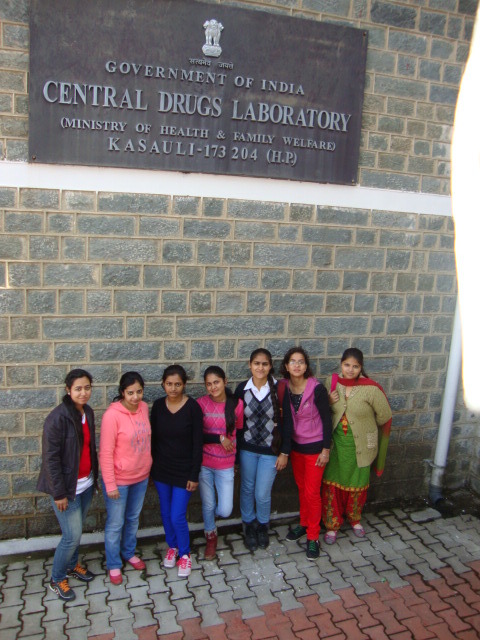 A group of 46 students from P G. (Chemistry) and UG ( Science ) went for an educational trip to Central Research Centre in Kasauli . It was accompanied by four teachers of the college namely Dr. Vinay Jain , Dr. Ashwani Sharma , Dr. Anupama Parmar and Prof Rashim Singla. We started journey at 7:30 am from M. M. Modi college , had breakfast on the way at Zirakpur and reached at Central Research Center located at Kasauli at 12.00 noon . The staff of CRC was very cooperative. Mr. Ashok kumar Gauri took the group to different parts of center . 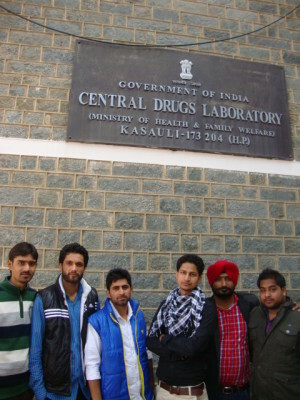 There we visited central Drug lab , R & D center Animal house . He told us that it was earlier known as Pasteur Institute and it is the only lab in Asia for quality control of all types of vaccines and anti – sera .There was an advanced bio security system which sterilize the drugs as well as human being operating on the system. Even students have been given demonstration of HPLC , pH – meter and AAS. They have also been well versed with measuring pH at accurate temperature .The students have learned a lot during stay at CRC Kasauli and open up their minds for scientific research activities . On the way to Monkey point Dr. Ashwani Sharma , Head Deptt. of Botany introduced the students regarding the importance of Biodiversity of the region . Students were shown some important forest diseases and impact of pollution on the trees .They also visited Hanuman ji temple at Monkey point and cathodic church near bus strand . On the whole it was very enjoyable and informative trip for the students. We reached the college safely at 9:30 pm . As per feedback of the students such educational trips should be organized frequently in future.